Last week I gave in to the lure of 20% off orchids at Orchids by Hausermann and ordered four more beauties to add to my collection. On Friday afternoon, my newest additions arrived!! They all look like they’re in good shape, and one of them even has a small spike growing! Click on the photos below to see larger versions. 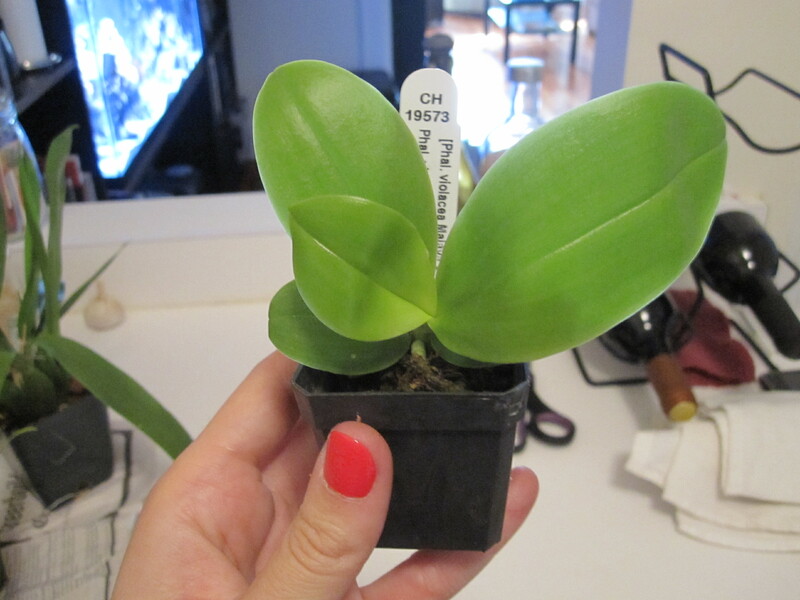 Last but not least is the Phalaenopsis hieroglyphica, which has a small spike growing from its base! I will be SO THRILLED if this plant blooms soon!! 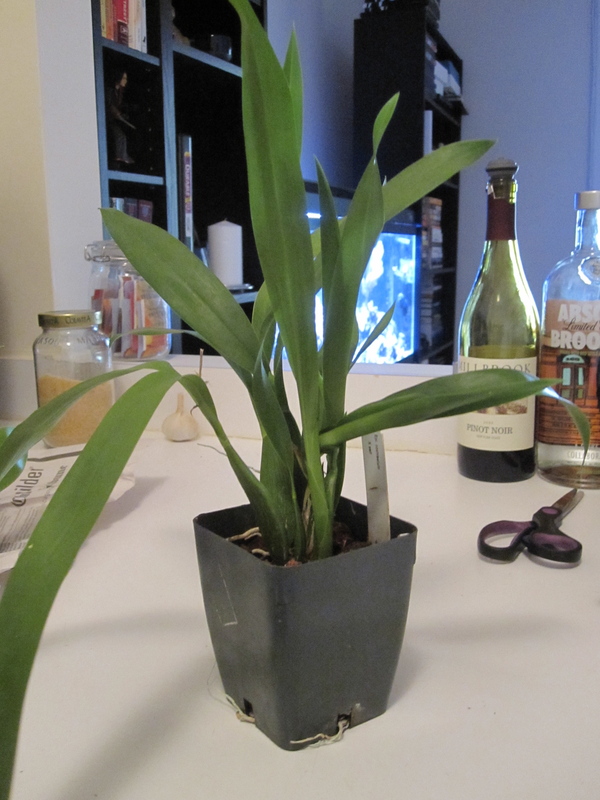 I haven’t repotted any of my new orchids yet (BAD!!) but I am going to do so this week to make sure all is ok with the plants’ roots. In other news, this morning I finally bought a thermometer/humidity meter for my Orchid Room so that I can actually start to monitor these things; I’ve been meaning to do this for awhile! Already, I see that the humidity in the room is just over 50% so I think I’m going to get a small humidifier. Thanks for the comment!! 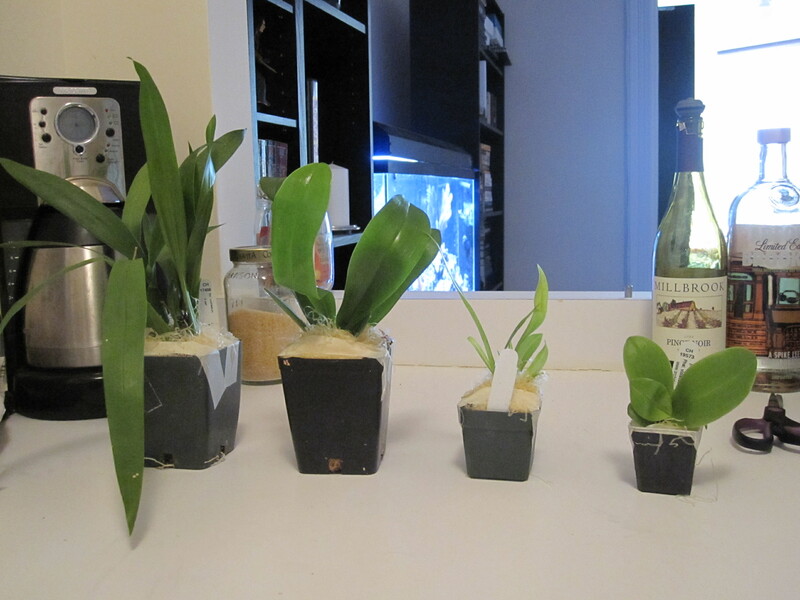 Interesting that you’ve killed all your Phals. I’ve definitely killed a couple, but most of mine are flourishing now. What kind of orchids do you currently have? That Phal hieroglyphica looks like a nice-seized plant! Um, I mean nice-sized plant!! Oops, I already said that in my earlier comment! Wow, all this heat is getting to me. 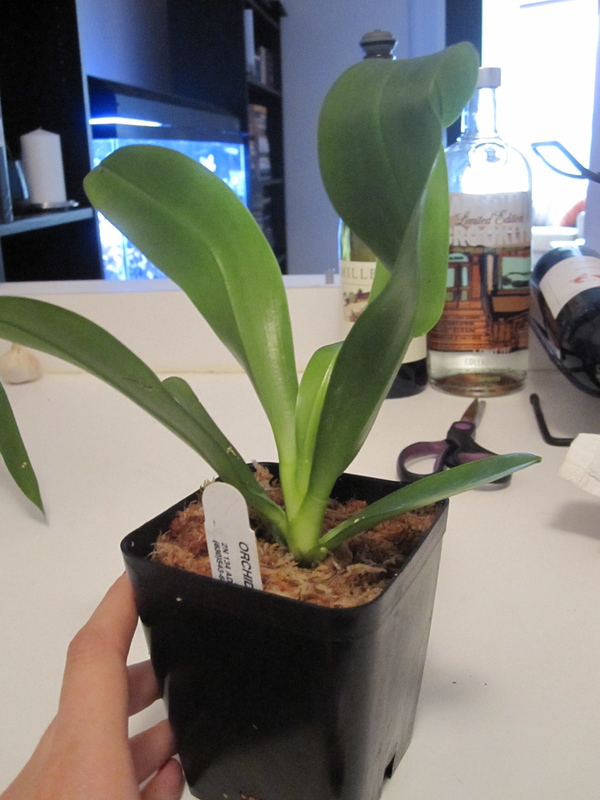 I still have a couple phals, I have some Paphs, Cymbidiums, Coelogynes, Dendrobium, and a few more … will do a blog post about it hopefully in the not to distant future! Haha! Coelogynes, eh? Those are so pretty. Are they hard to care for? 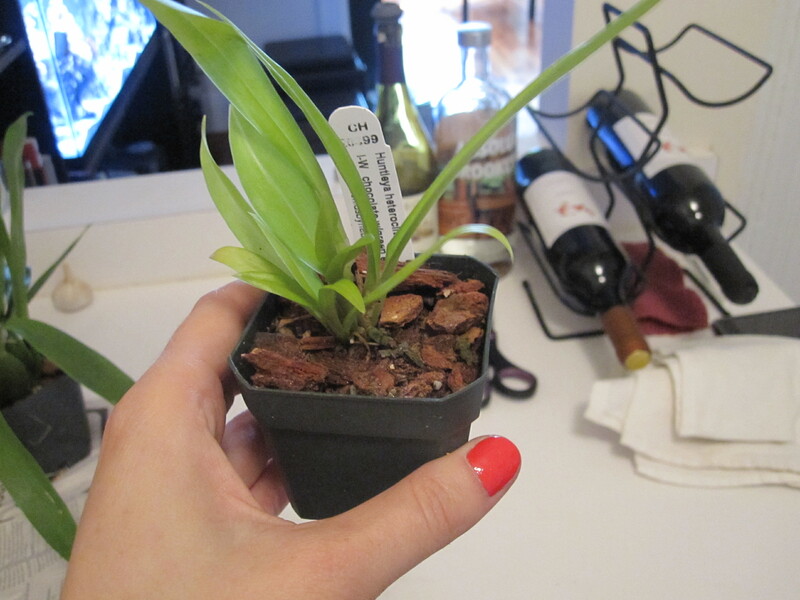 Hi, I live in Brooklyn, grow cymbidiums and have to move to a place where I will not be able to take them. Do you have an interest in buying them or know anyone who would?? They are big, well grown and will bloom a lot in Feb/March. Hi Ellen, how many cymbidiums do you have and how much would you want for each? I don’t have a ton of room for more orchids so I’d have to think about it. But I don’t have any cyms so it would be nice to add to my collection!! How is the Huntleya doing and did Phal hierogliphica ever bloom? Thanks for asking! The huntleya is doing ok, there are some brown spots on the foliage but it has put out one new growth so far. 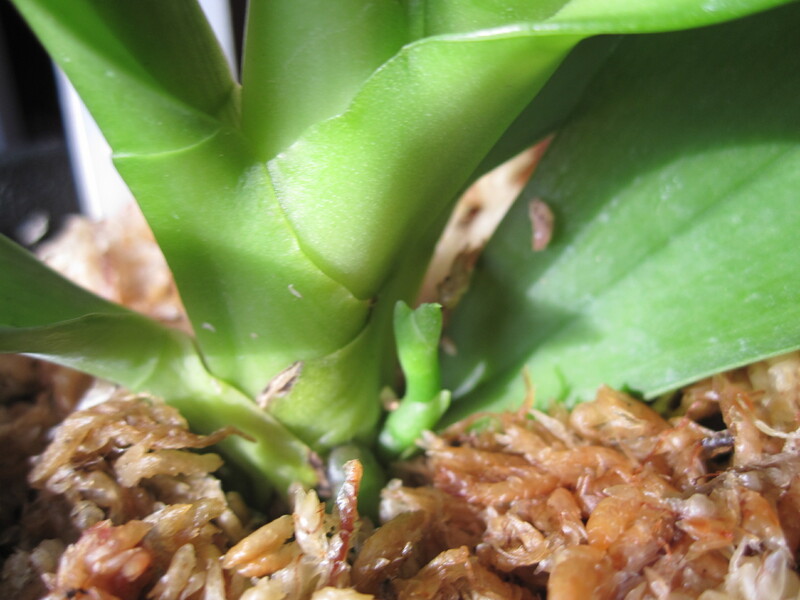 The Phal hierogliphica hasn’t bloomed yet…keep your fingers crossed that it will someday!! can you email me a photo? I am curious. people say it is hard to grow. Oak Hill had it but i do not see it any longer on their site. I saw one once and I liked the leaves. I get brown spots on leaves. I do not mind. I can not control the light too much on a window/ fire escape / roof. I’ve definitely been underwatering it — you can see the crinkling in the foliage at the front of the pic. I should really be watering this guy twice a week instead of once. It actually hasn’t bloomed yet. I think the shock of traveling caused the spike not to develop any further. But the plant is doing well. I really hope it blooms at some point! !